On a given day an assortment of delicate sugar plum dresses to a life-size snowman might be found in the back of Kroner Dry Cleaners. Kroner Dry Cleaners, which is located in Cheviot, began operation in 1939, but it was within the last eight to nine years that it has been dry cleaning costumes and wardrobes of some of Cincinnati’s best-known arts organizations. 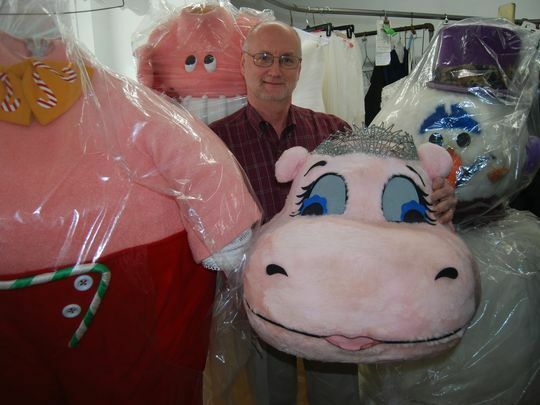 Not long ago, Kroner Dry Cleaners finished dry cleaning an assortment of dresses for the Cincinnati Ballet that were used in a performance of “The Nutcracker.” Along this same holiday theme, an assortment of costumes ranging from a snowman to a tiara-adorned hippo were recently completed for the Cincinnati Pops Orchestra. Despite the novelty, Kroner said a certain attention to detail is necessary. Costumes and wardrobes typically don’t go through the traditional dry cleaning cycle where clothing is placed on a wheel, submerged in a biodegradable fluid and then dried. Kroner said some of the more delicate items, especially ones with elaborate beadwork, can’t be exposed to biodegradable fluids and thus require more personal attention. “That is where time and patience come in,” he said. However, Kroner, who also handles school drama and band uniforms, wouldn’t have it any other way.